Location: East side of B4368 at Ffronfraith Mill. Notes: Ffronfraith Halt (alternatively spelt ‘Fronfraith’, and not always with the ‘Halt’ suffix) was situated on the 3¾-mile Kerry branch which had been opened between Abermule and Kerry by the Oswestry & Newtown Railway on 2 March 1863. The line had passed to the Cambrian Railway on the 25 July 1864 and to the Great Western Railway (GWR) on 1 January 1922. The branch had been opened to serve the sheep trade at Kerry but passenger services had run from the start. By 1922 they had declined to only a couple of trains per day in each direction with no Sunday service. 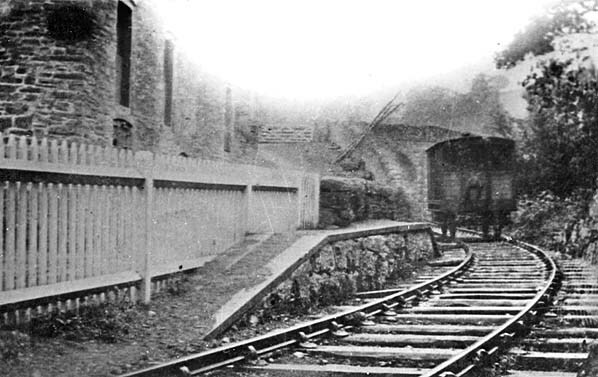 There was a siding at Ffronfraith which was listed in the Railway Clearing House Book of Stations 1904 as being under the supervison of Kerry station. The siding served the Ffronfraith Mill which was located on the east side of the line. The GWR most have hoped to increase passenger traffic by opening Ffronfraith Halt on 9 July 1923. It had a short platform on the east side of the line which was constructed from stone backfilled with cinders. Access was via a sloping path that led up to a bridge that spanned the line and linked to the Kerry - Abermule road. 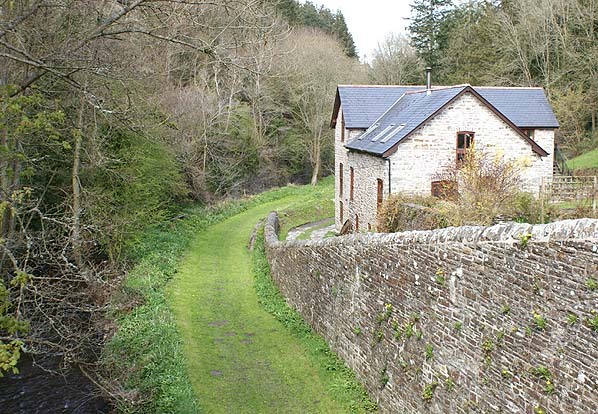 The mill was adjacent to the halt. The halt would have been served by trains running between Kerry and Abermule which were operated by former Cambrian Railway 0-6-0 and 2-4-0 tank engines. Seven trains in each direction were operated in the first few years but that declined to only a few trains by the end of the decade. Having failed to live up to expectations Ffronfraith Halt was closed on 9 February 1931 when the Kerry branch passenger service was completely withdrawn. The line continued to be used by goods services until 1 May 1956 and it had been lifted by the end of 1959. 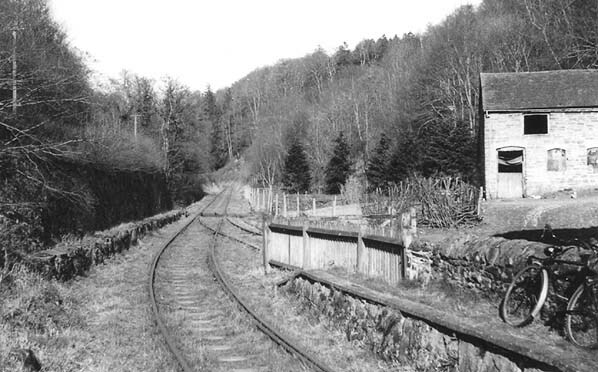 Ffronfraith Halt looking south in the 1920s. The site of Ffronfraith Halt shown on a six-inch scale map from 1948. 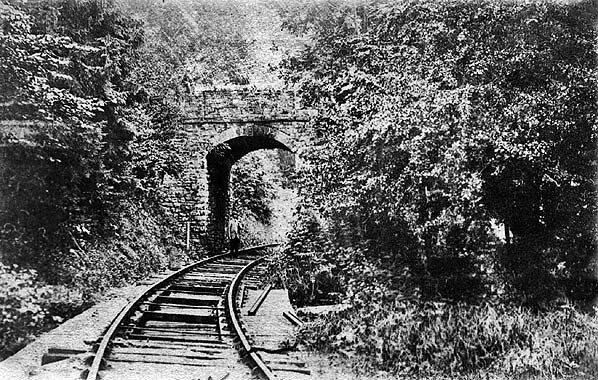 Looking north towards Ffronfraith Halt in the early 20th century. the halt was just beyond the bridge. Ffronfraith Halt looking north-west after the line had closed to all traffic in 1957. The junction with the Ffronfraith siding can be seen beyond the end of the platform. 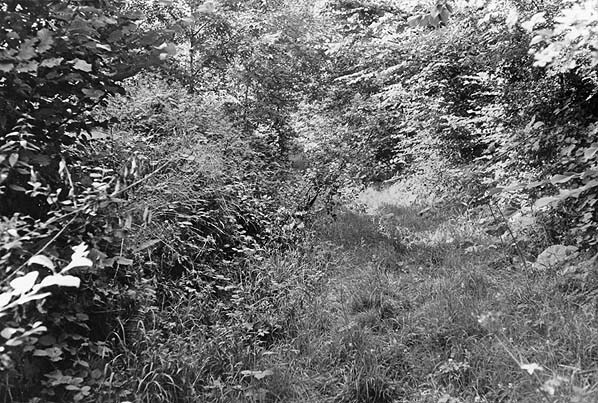 The site of Ffronfraith Halt looking south in June 1974. The platform was extant and can be seen to the left heavily overgrown. Looking north at the site of Ffronfraith Halt on 3 May 2016. The platform can be seen at the bottom of the sloping driveway. 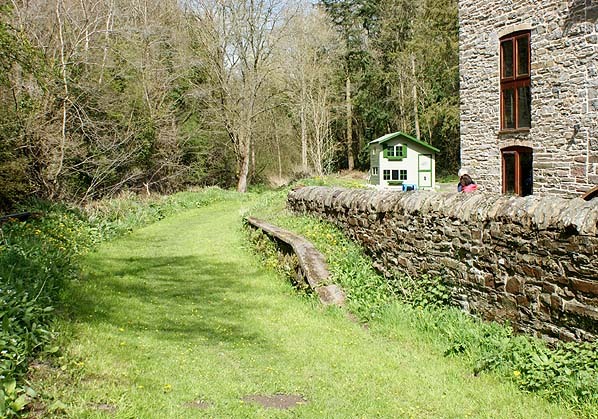 To the right is the Ffronfraith Mill which had been served by a siding. Ffronfraith Halt looking north on 3 May 2016.